Munich - and both struggled last season at Hertha Berlin and Hamburger SV respectively. This term they have traded places, and both players have blossomed in their new surroundings. Lasogga is an old-fashioned centre forward in every sense: powerful, hard working, capable of holding-up play and a man who knows where the goal is. The 22-year-old has scored nine times for Hamburg in 2013/14 - including a seven-minute hat-trick in the 5-0 win at 1. FC Nürnberg - establishing himself as the undisputed leader of the HSV attack. It is a remarkable story for the Germany U-21 international, who missed almost all of Hertha’s Bundesliga 2 promotion push last term through a knee injury suffered at the end of the 2011/12 season. Skjelbred, meanwhile, has enjoyed a similar renaissance after moving in the opposite direction. A bit-part player under Thorsten Fink at Hamburg, he is now a regular in Jos Luhukay’s Berlin side, having made 13 appearances to help the capital club to sixth in the table at the season’s halfway mark, with five assists and a goal to boot. 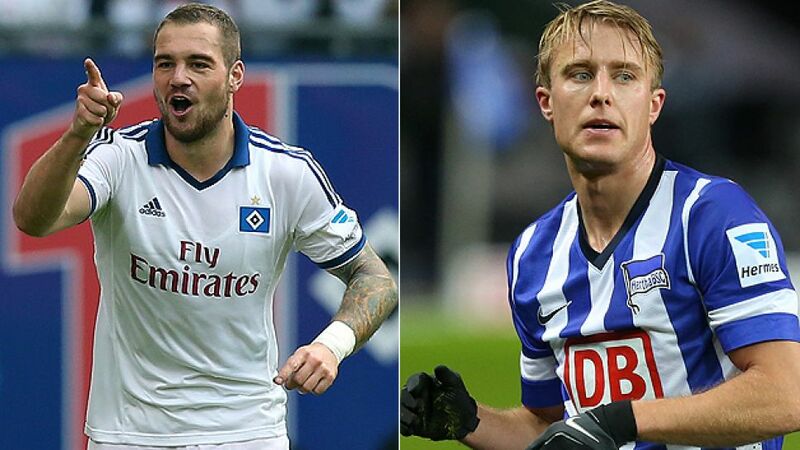 Both players are due to return to their parent clubs in the summer, and both Hamburg and Berlin will be hoping their form doesn't suffer as a consequence.